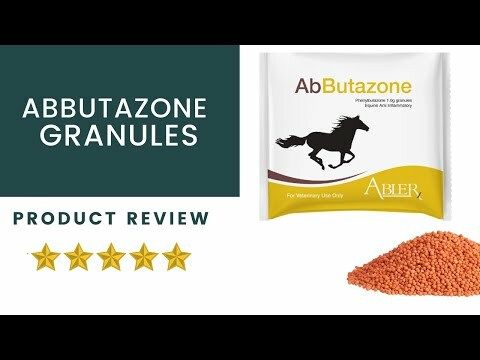 Phenylbutazone for horses is absorbed via the gastrointestinal tract with a peak plasma concentration of about 12 - 18 hours. Access to high fiber feed can delay this. 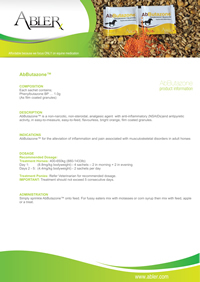 Simply sprinkle AbButazone™ dry onto feed. For fussy eaters mix with molasses or corn syrup then mix with feed, apple or a treat.